Not Getting Audio On My Computer Why? Why am i Not Getting Audio on My Computer? It is common experiencing this. For instance you plug in your speakers today, they are working, tomorrow no audio at all. Experts will agree that the causes for inaudibility in computer speakers are so varied. The solutions are also as varied, some problems requiring robust solutions while others just a little troubleshooting. 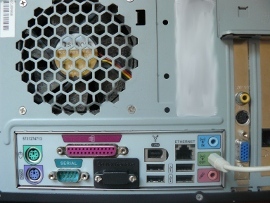 It is however imperative to learn that before committing to a serious conclusion about your computer, or speakers, it is important to check some few possibilities of a quick solution. Why I'm I Not Getting Audio On My Computer? Check that your computer sound is not muted on the volume control icon. Check that the cables are well connected incase of external speakers. Also check that the speakers are plugged in the right jack and that power is turned on. You can also check to ensure that there is no unknown hardware installed in the computer that could inhibit the sound. These are some of the simple details several computer users miss out on. After external checks and everything presumably in place, you do not encounter a problem, proceed to the software. Check on the sound and audio devise on the properties in 'my computers or control panel'. Ensure that your computer has a sound card that is active. Check also the volume control and check that all the sound icons are not on mute. Having done that, you might easily revive your computer's audio properties. It is imperative to understand your computer as some computers are different in operations from others. In some cases, restarting your PC helps restore the audio. And if you are listening online, ensure that it is not the problem with the internet connection. Sporadic internet connection affects the audio quality of your computer speakers. Incase all the above attempts do not work, it is advisable to visit computer experts. They offer the last answer to all your computer needs including your computer speaker's audibility.